Creating effect engagement with your internal and external environments so your organisation, your brands, your products and services, and your people consistently perform and are highly valued. I can work with your teams to evolve your business approach, and how you can successfully engage with your customers, stakeholders, and markets. 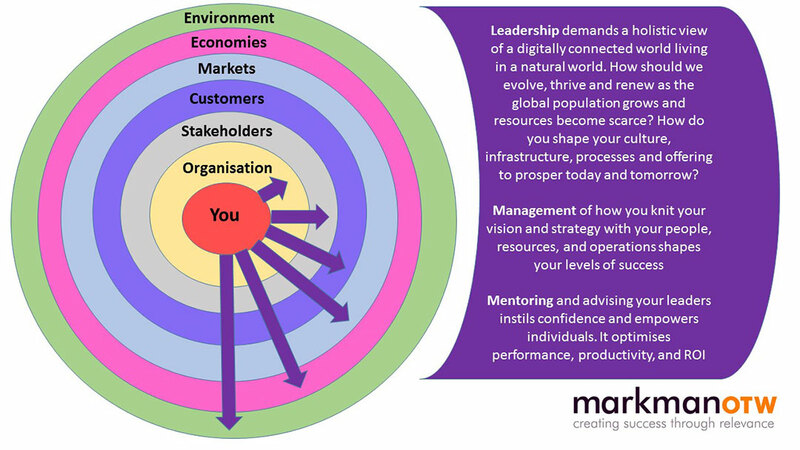 Through a wealth of knowledge, the latest insights, and resource, I can support you in shaping your role, contribution, and competitiveness, so you deliver the results you need to thrive. Leadership where joining senior management teams I help them set clear direction, achieve transformation, and shape their organisations to meet future demands. Management when devising strategy, planning, and implementing programmes, I help teams deliver optimum performance and Return On Investment. Mentoring when advising individuals on specialised insights and guidance to tackle their business challenges, I help them achieve and empower others.